After a day of gentle cycling adventures, we think you’ll appreciate a place where you can feel at home and put your feet up. That’s why, whether you choose cycling holidays in the UK or Europe, we personally select and visit all the accommodation featured in our cycle breaks. We choose our accommodation partners carefully and to clear standards. At our base under huge Suffolk skies, we’ve been listening and learning from our walking and cycling break customers since 1991 too. Our customers share their experiences with us and many come back to book with us again – proof that our high level of service, valuable knowledge and attention to detail is very much appreciated and considered good value for money. All accommodation is well-located and comfortable and includes en-suite facilities – and although evening meals are available at most of our properties – our detailed documentation provides further top tips on local places to eat. Our accommodation is generally offered on a bed and breakfast basis, but tours in some parts of France do include dinner as well and a small selection of our tours in England include some evening meals (see individual tour descriptions for details). All our accommodation is personally chosen and visited by us. It is selected to clear standards and ranges from 2 to 4 star properties according to local classifications in the different countries. 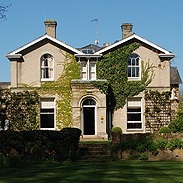 In England we also feature a couple of 5 star B&Bs which have won the much-coveted Gold Award for quality. Half-timbered, historic coaching inns; Italian neo-classical treats with elegant terraces; family-run ‘auberges’; creeper clad ‘Gasthöfe’ with balconies dripping Geraniums; relaxing country hotels; well-positioned seafront or lakeside hideaways; converted flint-faced barns; modern city centre rooms with culture on the doorstep – you’ll find a great collection of hotels with local flavour in our portfolio. Fancy a four-poster for the night in your half-timbered East Anglian inn, a little additional luxury or waking up to wonderful view across the Suffolk beach to the crashing waves? Upgrades are available at a number of our hotels in England , and at some destinations we can arrange for you to stay, if you prefer, in especially sought-after establishments. Or why not stay a little longer? For all our cycling tours, short breaks and holidays in England and Europe, we are also pleased to book additional nights at either at end of your tour, or sometimes along the way too, if available. Converted flint-faced barns or an old inn on a leafy Georgian square, a hidden stately manor, a pantiled pub gone warmly provençal, half-timbered coaching inn confections and the smartest seaside hotels. Our accommodation in East Anglia is not just comfortable, but brimful of character. 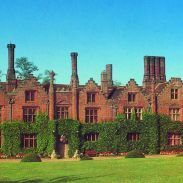 In Suffolk, our special single centre breaks feature a Tudor mansion and more modern club hotel. These, like all our establishments, are well-located for your gentle adventures, but also offer great leisure facilities so you can really relax into your time away. All our accommodation is of a very high standard, with many hotels and B&Bs awarded three or more stars according to national classifications. 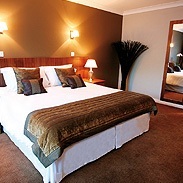 We also feature a couple of 5 star B&Bs which have won the much-coveted Gold Award for quality. 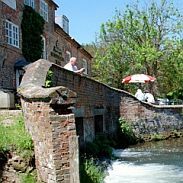 Our hotel stays in Suffolk and Norfolk are arranged on a bed and breakfast basis but in our route notes, we point out great places to stop for lunch, tea, a picnic or refreshing pint. We also give tips for evening meals, either at the hotel or nearby restaurants. Inviting family-run ‘auberges’, comfortable corner hotels, modern city centre rooms and even a beamed beauty from the 15th C. Our hotels here are comfortable, often full of character and well-located – maybe close to the château, river or bustling city centre. They are rated at least 2 star according to local classifications. Many of our standard itineraries in this region blend 2 and 3 star accommodation to create what we believe to be a great balance between comfort, location, character, quality and value for money. On many of our standard itineraries in the Loire region, we now also offer an upgrade to 3 star accommodation throughout, just to allow that extra little indulgence. 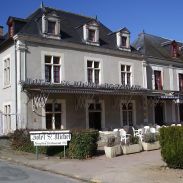 To help you make the most of the delicious regional cuisine, our hotel stays in the Loire are arranged on a dinner, bed and breakfast basis, including a three or four course supper at the hotel or nearby restaurant in the tour price. In our route notes we also point out great places to stop for lunch, a picnic or a refreshing drink. 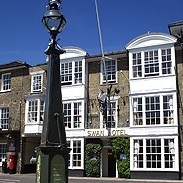 Sometimes alongside the river, in an historic, honey-coloured stone building, maybe with cosy shutters and shaded restaurant street terrace, our hotels here are all full of character, well-positioned and are rated 2 star according to local classifications. 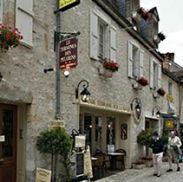 To make sure that your break gives you a real flavour of the region, our hotel stays in the Dordogne are arranged on a dinner, bed and breakfast basis, including a three or four course supper at the hotel or nearby restaurant in the tour price. In our route notes we also point out great places to stop for lunch, a picnic or a refreshing drink. From a villa-style property with a pool and a stone house complete with predictable blue shutters alongside an inviting courtyard, to the most modern boutique chic right in the heart of historic town, our hotels in Provence are well-located and full of local character. Many have lovely outside dining opportunities and all are rated 2 star according to local classifications. 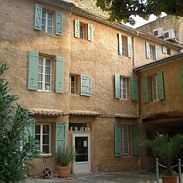 Our hotel stays in Provence are arranged on a bed and breakfast basis but in our route notes, we point out great places to stop for lunch, a picnic or a refreshing drink. We also give tips for evening meals, either at the hotel or nearby restaurants. 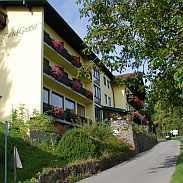 From creeper-clad chalets to town centre ‘Gasthof’, relaxed lakeside properties to a pastel-washed places with a cosy ‘Biergartl’, our Austrian hotels are mainly rated 4 star according to local classifications, although our Ten Lakes Tour (ALS8) does include some 3 star properties. Most hotels have saunas; some have swimming pools and one or two even offer the option of a relaxing massage. 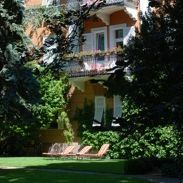 Our hotel stays in Austria are arranged on a bed and breakfast basis, but in our route notes, we point out great places to stop for lunch, a picnic or a refreshing drink. We also give tips for evening meals, either at the hotel or nearby restaurants. 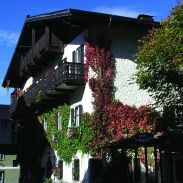 From great ‘Gasthofe’ adorned with wall paintings and carved gables to convenient town centre hotels and relaxed lakeside properties, our German hotels are rated 3 or 4 star according to local classifications with the occasional inclusion of an unrated property especially selected for its comfort and good location. Some hotels have saunas and swimming pools. Our hotel stays in Germany are arranged on a bed and breakfast basis, but in our route notes, we point out great places to stop for lunch, a picnic or a refreshing drink. Half board is an option on most tours and we also give tips for evening meals, either at the hotel or nearby restaurants. 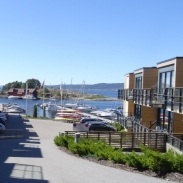 Our Norwegian hotels in the towns and villages around the Oslo fjord are well located, mainly modern properties created with convenience, comfort – and at times the view – in mind. In Oslo our hotels are central and convenient for rail connections and sometimes more historic in flavour. Hotels in Norway are not rated, but our carefully selected properties are the equivalent of 3 star as a minimum. Our Oslo Fjord tours offer two categories of accommodation, so that you have a choice in the level of comfort and facilities for your stay. Category A features three 3 star hotels, and three 4 star properties including accommodation with spa facilities in the village of Son. Category B accommodation features all 3 star hotels with accommodation in the village of Moss rather than Son. Our Italian hotels have plenty of character from facades flowing with flowers or adorned with red and white shutters to 19th C. neo-classical treats with elegant terraces or a Patrician villa complete with chapel and cloister, to bright modern properties in cheerful colours or with classy glass fronts. Most are rated 4 or 3 star according to local classifications, although our Treasures of Tuscany tour does include one very good 2 star hotel. Some have pool facilities and rooms with balconies. Our hotel stays in Italy are arranged on a bed and breakfast basis, but in our route notes, we point out great places to stop for lunch, a picnic or a refreshing drink. We also give tips for evening meals, either at the hotel or nearby restaurants. From late 2011, some municipalities in Italy have started to introduce an additional tax at some locations. These taxes are not included in the price of our holidays. Our local partners in Italy have advised us that they cannot pay these taxes in advance, the tax is payable either at check in or check out at each hotel. In most cases the cost approximates to the star rating of the hotel priced in euros per person per night (eg a 4 star hotel is 4 euros per person, per night). Our Spanish hotels are well located and mainly modern, although some have real local character such as smart colonial style buildings on the coast. These carefully selected properties are rated 4 or 3 star according to local classifications. Some have pool facilities. 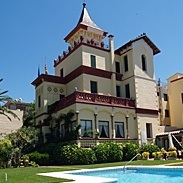 Our hotel stays in Catalonia are arranged on a bed and breakfast basis although half board is an option. 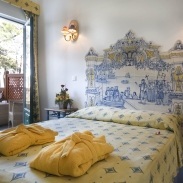 Our tour in Mallorca (SMP8) includes bed and breakfast with a buffet dinner on some evenings. In our route notes we point out great places to stop for lunch, a picnic or a refreshing drink. We also give tips for evening meals where appropriate, either at the hotel or nearby restaurants. Our Portuguese hotels in Lisbon, along the west coast and in the Algarve are well located and primarily modern, built for convenience and comfort, yet often with decorative touches reflecting regional character. These carefully selected properties are usually rated 4 star and occasionally 3 star, according to local classifications. Most have swimming pools and some have additional facilities such as spas. Our hotel stays in Lisbon, along the Alentejo coast, Costa Vicentina and in the Algarve are arranged on a bed and breakfast basis although half board is an option. There are plenty of opportunities for great little discoveries such as places to stop for lunch, a picnic or a refreshing drink and places to eat evening meals either at the hotel or nearby restaurants.